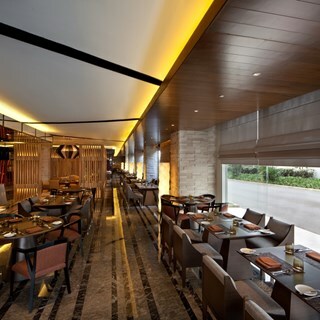 Sana Sini, the signature restaurant at Pullman Jakarta Thamrin, features four buffets and cooking stations that showcase European and Asian cuisine. 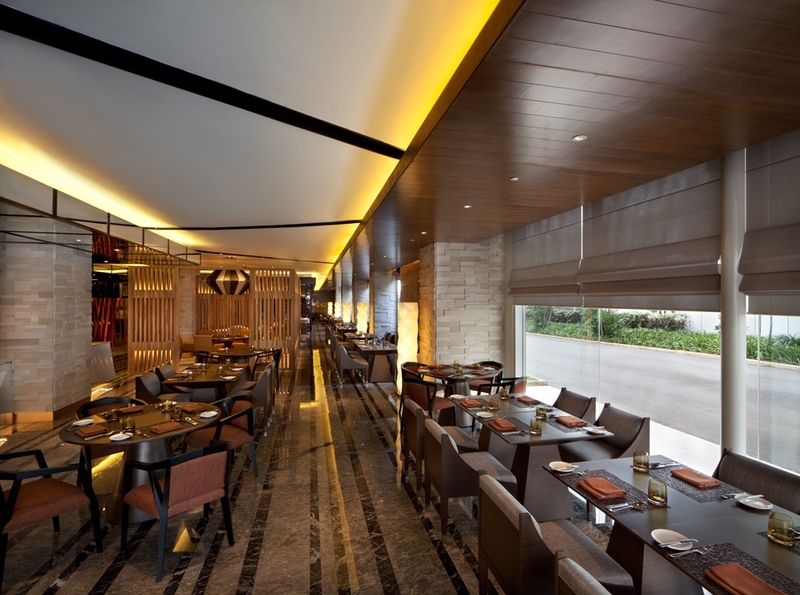 Sana Sini is an award winning international buffet restaurant where cultures and cuisine mingles. Famous for its elaborate buffet presentation, the restaurant has a variety of theatre kitchens to tempt diners into a culinary tour. Diners will find a roast and carving corner as well as popular lively gourmet stations together with European and Asian spreads. Good and attentive service.Food was the right portion and good taste. The hospitality was very good the staff like Fitri and others are very attentive and cheerful. Busy busy but happy especially Marie Bathe. For our party of six, all agreed that it was definitely a very satisfactory Sunday Brunch. The variety of food types were many and varied and were generally well prepared. Deserts were a treat and there were a good selection to choose from. The Staff were friendly and attentive and the service was excellent. Will we return ? yes indeed we will. There are much more to improve on the food, to me the taste is too strong. Taste 50% enak 50% ngga enak atau biasa saja. Kualitas makanan lumayan ngga gitu enak enak banget dan masakan kalo bisa di sesuaikan rasanya karena jauh dari ekspetasi hotel bintang 5. Fantastic experience! We loved the food, warm service and cozy atmosphere. wonderful setting, variety of choices, excellent and outstanding friendly staff. Good variety of food. If water is included in the buffet package, that’d make it a very value for money buffet. nice place and very humble service from waiter. could do better if price included drinks. sashimi side could do with larger size and bit more variety. This is the first time visit this restaurant for both me and my wife on 18 Dec 2018. We were there to celeberate my 31th birthday. For the design, this restaurant is very good and looked like a fancy buffet hotel restaurant. The food locations divided into many sections, from the western section, japanese section, chinese section, indonesian section, the dessert and gelato section. From the taste it was okay, and we were quiet happy from the qualities of the food, but since that day was so busy and crowded with guests, the queue line is sometimes confusing, you can do better than that. And here is my problem, about the service, i don't know wether the waiter/ the waitress have a bad day or their moods got ruined coz of the restaurant was too full with guests. The waitress was very rude to us, she's asking to take the dirty plate from my table, and i gave her some more empty plate, and i saw she still empty on her hands, but she ignored me, 3 times this waitress ignoed me, even when my wife and i strolling around to collect food, then we came back to our tables, the dirty plates are still there. For your high price, fancy design of the restaurant, so so food quality, but your worst point is how to educate your waiters and waitresses. 2nd thing, i do not know that the restaurant doesnt include free flow drinks, but i saw a jar of water and empty glass on our table, i asked the waiter wether the water is drinkable or not, but the waiter only said, ok hang on a moment sir, then he never came back, look, if its not included, then its ok, u just tell me that drinks are not included for your high price of buffet, but just dont let me and my wife waited too long for you to come back. So So so disappointing!!! even when we need to call the bills, we found difficulties, its so hard to reach the waiters, since they just too busy with their stuffs, idk wether this kind of fancy restaurant able to cope with crowded situation or not, very very poor service indeed. First time visit sana sini, it was perfect and our anniversary dinner was memorable for her. It was splendid. Thank you sana sini. Service by some older staff are extremely great!!! Too bad you didnot state that chope $ is only for buffet! You should have allowed me to use it knowing it is a mistake of yours!!! Makanannya so yummy.. worth the money.. overall bakalan kembali lagi utk makan..